Antarctica’s ice sheets once seemed immune to climate change. Now, scientists aren’t so sure. They now wonder how fast the ice will melt and how fast sea level will rise. Polar ice experts once thought Antarctica’s ice sheets were mostly immune to climate change. Research findings of the past decade have started to melt away their confidence. Satellites have revealed that the ice sheets are thinning and their glacial slide into the sea is speeding up. Ice cores show that at times in the geologic past, Antarctica was ice free. Complicating matters, the West Antarctic Ice Sheet (WAIS), a mass of ice the size of Texas storing enough water to raise global sea level by 5 meters (about 17 feet), is resting on rock below sea level. Some scientists have theorized that this makes the WAIS inherently unstable. If the ice sheet retreats beyond a certain point, a positive feedback mechanism should, they say, lead to runaway retreat that would not stop until most of the ice sheet disappears. The recent series of reports from the Intergovernmental Panel on Climate Change (IPCC) did not include such bold predictions for the possible loss of Antarctic ice. The IPCC’s estimate was that Antarctic ice flow would continue at the same rate it did from 1993 to 2003, despite an observed acceleration since then. The IPCC’s restrained estimate about the ice flow, and its possible contribution to sea level rise, was not, however, a heartening sign. Rather, it reflected the consensus view that changes in the Antarctic have been so rapid, science can not yet account for them. The IPCC’s mid-range projection is that seas will rise 44 centimeters (17 inches) by the year 2050. That would put 100 million people each year at risk from being displaced from their homes by coastal flooding. If the WAIS were to entirely melt—which most experts doubt will happen in our lifetimes—seas would rise ten times higher. Will the WAIS sit on the global warming sidelines? Will it gradually drip away, speeding up the slow motion flooding of our coasts? Or will it collapse in front of our eyes? And when will scientists know for sure? Scientists from the Institute for Geophysics and the British Antarctic Survey flew over the Amundsen Sea Embayment in 2004 with radar equipment to map the bed below the ice sheet. These questions inspired an international conference held at The University of Texas at Austin last March, co-sponsored by the U.K. Department of Food and Rural Affairs and the Jackson School of Geosciences. 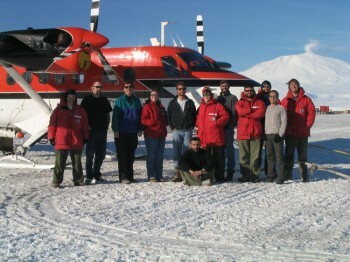 While not arriving at definitive answers, the participants in the West Antarctic Links to Sea-level Estimation (WALSE) Workshop developed a new hypothesis to explain recent observations of ice sheet thinning and charted a course for future research that might be incorporated into a new National Science Foundation polar research initiative. 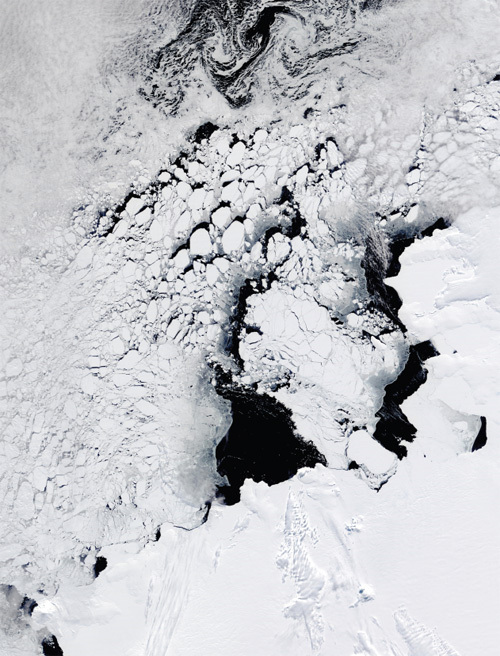 Don Blankenship and Jack Holt, polar researchers at the Jackson School’s Institute for Geophysics, are especially concerned about the Amundsen Sea Embayment, a vast block of ice that makes up one third of the WAIS. Recent satellite observations show the embayment is the most rapidly changing portion of the WAIS. It’s also thought to contribute as much to sea level rise as the entire Greenland Ice Sheet. 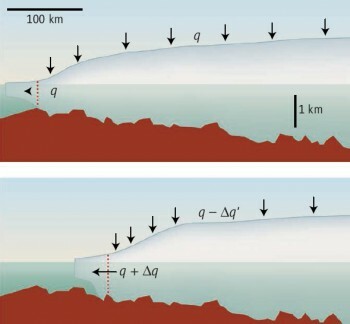 Blankenship and Holt led the American half of a joint project between the Institute for Geophysics and the British Antarctic Survey in 2004 to reveal what lies below the Amundsen Sea Embayment. Using airplanes with radar antennas strapped under the wings and logging tens of thousands of air miles in a couple of months, the two teams were able to create detailed topographic maps of the rocks and sediment that form the bed on which miles of ice sits. The researchers even identified lakes of liquid water which remain unfrozen due to the enormous pressures of the ice above. One alarming result of that work was the discovery that part of the embayment known as Thwaites Glacier is not only experiencing accelerated thinning, but it also acts as a sort of plug in the bath tub. The topography of the bed underneath doesn’t provide any additional protection to hold the ice back. Researchers were surprised to discover the depth and shape of the bed beneath the Amundsen Sea Embayment offers little protection for the ice. Like a plug in a bathtub, part of the embayment could act as an avenue for the entire West Antarctic Ice Sheet to drain to the sea. Topographic map produced in 2006 from data collected by a joint UT/UK airborne geophysical survey two years earlier. The surface of Antarctica is so cold and the ice so thick that raising the region’s air temperature a few degrees is not enough to cause significant melting. Instead, scientists have long suspected that warm water in the Amundsen Sea is flowing up under ice shelves—platforms of floating ice attached to the grounded ice sheet—and melting them from below. This increased melting speeds the flow of grounded ice sheet into the water. But it’s unlikely these warmer waters result directly from recent climate change. By measuring oxygen content, oceanographers have discovered that the warm water welling up below the glaciers has not been near the sea surface in the past few centuries. In oceanographer’s terms, the water is “old.” It is part of a mass known as Circumpolar Deep Water connected to the North Atlantic through the globetrotting ocean conveyor belt. This water has been at depth for too long, scientists believe, for its temperature to reflect recent global warming. There isn’t enough observational data to validate this hypothesis yet. For one thing, sea ice makes it difficult to get there to do the work. Polar experts say repeated missions over several years are necessary to correlate wind speeds with the temperature structure of the water. Concerns about stability. The ice sheet covering West Antarctica is the last great marine ice sheet. Its bed lies below sea level and slopes down inland from the coast. This profile is based on Thwaites Glacier, West Antarctica. In the top panel, the ice sheet is in equilibrium; influx from snowfall (q) is balanced by outflow. A small retreat (lower panel) will provoke changes in both the influx and the outflow. If these changes act to promote further retreat, the ice margin is unstable. On the final day of the WALSE workshop, the attendees locked themselves in a conference room and hashed out a consensus statement including the state of knowledge in their field, the new hypothesis on the cause of upwelling, and a list of challenges that lie ahead in answering the outstanding questions. The new IPCC reports on climate change had essentially sidestepped the issue of Antarctica’s potential contribution to sea level rise. The authors pointed out, rightly, that there was just too much uncertainty to make predictions. The workshop participants were able to say, Okay, now what are we going to do about it? Blankenship said the timing of the workshop was perfect. “Two months later, we were sitting on the 12th floor of NSF presenting the WALSE conclusions to 30 polar scientists on what to do for the next decade in polar science,” he said. The National Science Foundation (NSF) had organized the meeting to start charting the course of a new interdisciplinary program called Antarctic Integrated and Systems Science. 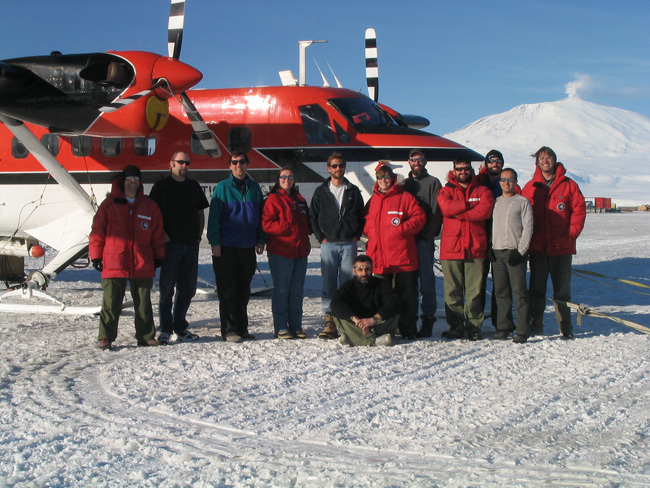 The program is part of the International Polar Year (2007-2008), a global campaign of polar research.